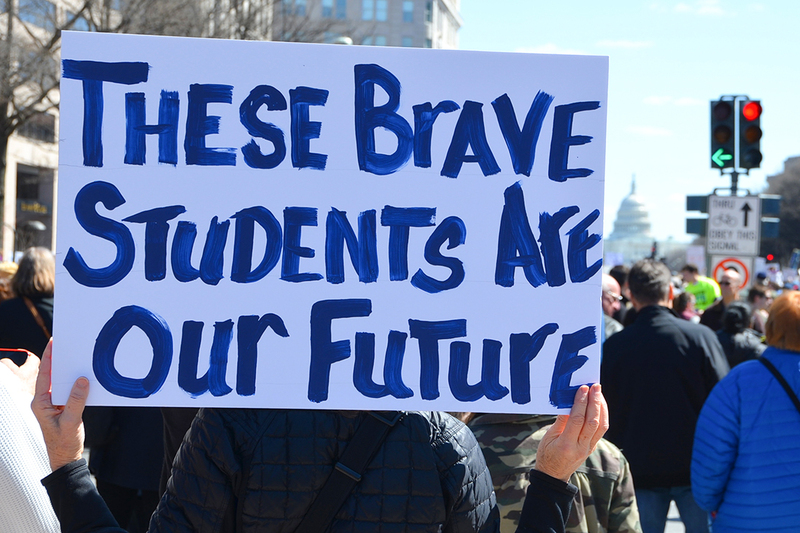 Many Stoneman students found politicians’ offers of “thoughts and prayers” wholly inadequate, and vowed to lobby and organize to get meaningful gun control laws passed at both the state and federal levels. 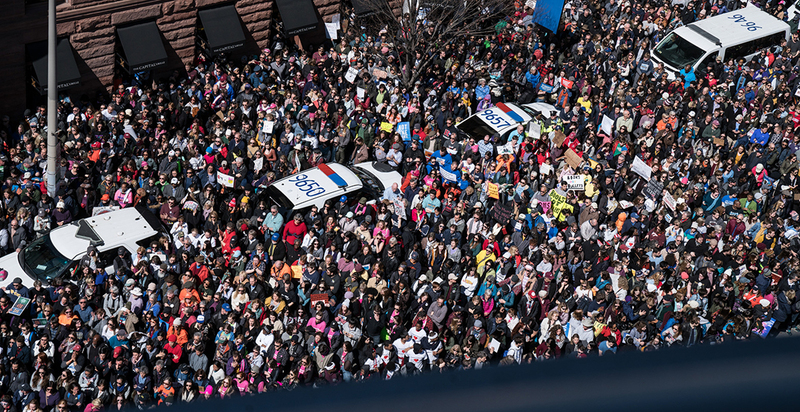 Their efforts sparked student walkouts throughout the country, and mobilized hundreds of thousands of students last Saturday in more than 800 marches in Washington, DC and throughout the US and the world. The marchers repeatedly made the point that donations from the National Rifle Association (NRA) kept elected officials from supporting gun control laws. The prime target of their ire was Sen. Marco Rubio (R-FL). Rubio, the students claimed, has benefited from more than $3 million in NRA largesse since his first federal election campaign in 2010. The teens did a bit of math homework: They divided the estimated number of students enrolled in schools in Florida by the NRA’s spending supporting Rubio or trashing his opponents since 2010. That number turned out to be $1.05 per student. They asked if their lives weren’t worth more than $1.05. While civil rights activists and white college students both protested the Vietnam War, they often did it separately. That may have been in part because their jeopardy was not the same. While young American men of all races and classes were subject to the draft, affluent white boys had many more resources to evade it, such as getting student deferments, finding cooperative physicians to identify “health” problems (like bone spurs), or moving to Canada. In the early years of the war in particular, black men disproportionately made up the armed services, representing more than one-fifth of the troops in Vietnam, well above their share of the total US population. But there are no strategies that can exclude any student from the threat of gun violence. Black students experience that violence as a routine fact of life, an occurrence that the larger society ignores. White students know it only as a random, irrational event. But neither white nor minority students can fully escape the danger. And efforts to turn schools into fortresses only reinforce the trauma. If the Parkland students recognized their privilege, their urban peers knew the value of attention they rarely receive. Those students used what Chicago teen Mya Middleton called this “amazing opportunity” to appeal not only for gun restrictions but also for better schools and more resources to combat poverty and joblessness. They insisted that their pain, and the names of their dead, be counted. After her brief speech, Gonzalez stood silent on the stage for an additional four minutes, tears streaming down her face. It was a dramatic pause, one that made the audience restless and uncomfortable. Finally, a timer beeped. She’d made the gesture to give the public the experience of just how long it took the Parkland assassin to kill his victims. They were kids talking about their lives in vivid terms, not crafted into sound bites. Their stories were still raw, a little ragged, but emotionally charged. They were not afraid of showing their vulnerability, their fragility. Teens don’t usually see shades of grey, and that, too, gave them an advantage. The gun control debate can often be driven by details — how do you classify and define an assault weapon, what about the estimated 300 million-plus guns already in circulation, how do you prove whether gun control works. They framed the issue in far starker terms: Gun control was a matter of life and death. 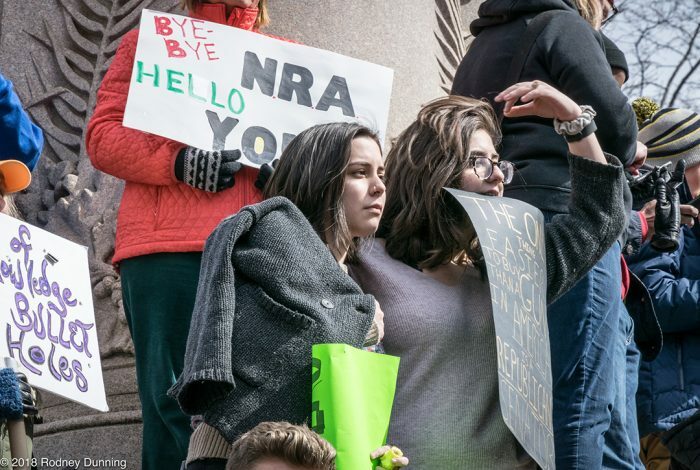 And teens, who like to challenge institutions, had a ready-made foe in the NRA. 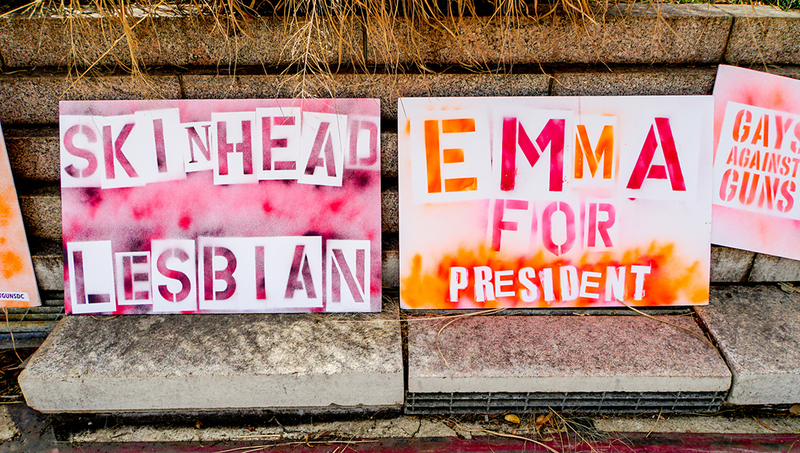 The gun group’s own attack ads heightened the students’ sense of moral outrage. Students have another valuable weapon: the freedom to speak freely, without the fear of jeopardizing their jobs, their futures, or their relationships. They also have the luxury of time. If they stay engaged, they can look forward to 60 years of casting votes. 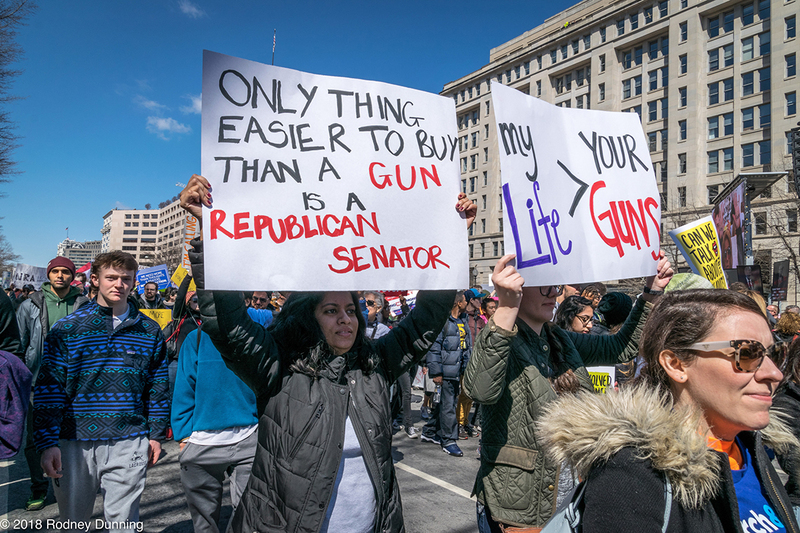 Related front page panorama photo credit: Adapted by WhoWhatWhy from March for Our Lives (Ted Eytan / Flickr – CC BY-SA 2.0).